Cu-Al-Ni-x and Nickel-free Ti-based alloys have been developed for engineering use and biomedical applications respectively. This project focuses on two types of shape memory alloys. The first type is Cu-Al-Ni-x alloys which are mainly used in engineering applications such as for actuator and earthquake protection device, whereas the second type are Ti-based alloys for biomedical application namely for human internal bone support. The Ti-based alloys under investigation are Ti-Ta and Ti-Nb which are nickel-free as opposed to the current TI-Ni alloys widely used in the medical industries. The alloys are produced both by traditional casting method and powder metallurgy via state-of-the-art sintering process. This research led by Professor Dr Esah Hamzah from the Faculty of Mechanical Engineering UTM is expected to produce better properties of Cu-based and Ti-based shape memory alloys for engineering and biomedical applications. The highly porous silica aerogels were synthesized via sol-gel process and used as particulate filler in polymer resin to improve the thermal properties of the base polymer. 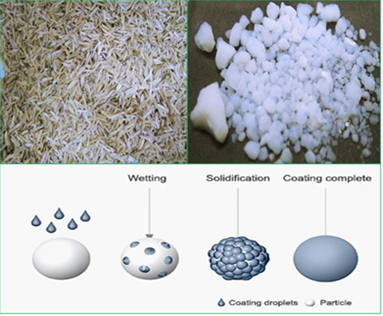 The project studies the potential of rice husk derived silica aerogel as effective filler for low cost polymer resin. The research led by Dr. Muhamad Azizi Mat Yajid, in collaboration with CTRM Aero Composites Sdn Bhd provide a novel solution to the problem of mixing silica aerogels with liquid resin by coating the silica aerogel particles with thin polymeric layer to prevent resin intrusion into aerogel porous structure. 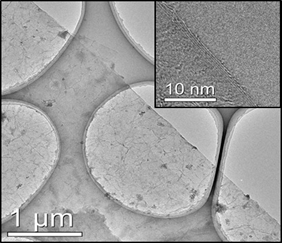 The preserved pores of silica aerogels restrict the heat transfers through the composite in which improve the thermal stability of the base polymer. The project focuses on improving the structure of Mg2Si particulate reinforced in Al-based composite. The research led by Dr Tuty Asma Abu Bakar has demonstrated that the modified Mg2Si particulate reinforced in the Al matrix composite has great potential for the manufacturing of automotive components that require lightweight with high temperature stability such as piston, cylinder head and frames. 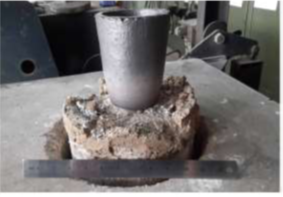 The research also equipped with thermal analysis in order to provide better understanding regarding solidification path of the composite melt that would help in controlling the formation of phases in the alloy composite for specific requirements. We are developing a low temperature growth system of graphene and studying its fundamental growth mechanism. This research project focuses on low-temperature growth of graphene on the silicon wafer for electronic devices application. The AP-CVD was fully equipped with precise gas flow controller to achieve low-temperature growth of graphene. This research project might open to the direct coating/growth of graphene on current electronic devices that can be gain at low-temperature without damaging the circuit. This research project also tries to introduce graphene as the water membrane by tuning the graphene network size. This research led by Dr. Mohd Zamri, in collaboration with Nagoya Institute of Technology, Japan, Advance Membrane Research and Technology Centre (HiCoE-AMTEC) and Department of Nano-semiconductor Industry Technology, MIMOS Malaysia. This research project also dedicated to support National Graphene Act Program of Malaysia.